Armament varied somewhat among units. 1 40mm Bofors AA gun was eventually shipped. 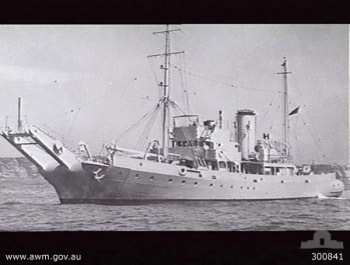 The Kangaroos were boom defense vessels constructed from 1940 on in Australian shipyards. All were deployed to Darwin by the time war broke out, and continued operating there through most of the war.